Moisturising cleanser for the extremely dry skin. A gentle and soap-free cleanser that’s ideal for extremely dry and sensitive skin. The lightly-foaming formulation gently cleanses and softens, leaving a hydrating film on your skin. This cleanser contains a higher moisturiser concentration than QV Gentle Wash.
Free from preservatives, fragrance, colour and lanolin to suit sensitive skin types. Suitable for eczema, dry, sensitive and itchy skin. 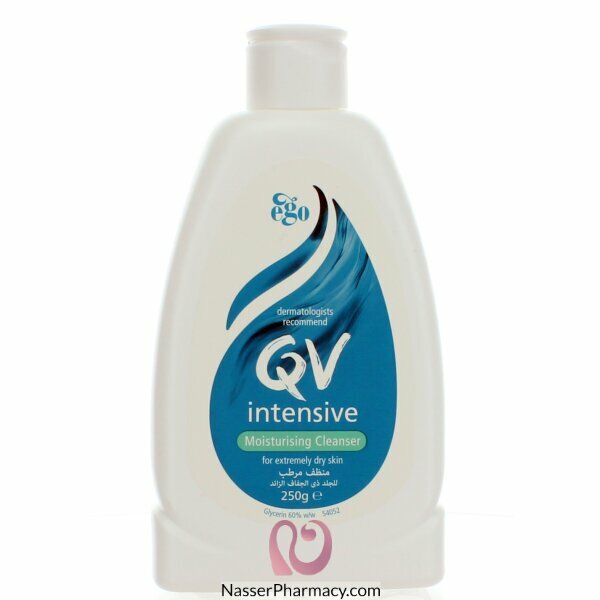 Helps to maintain skin's protective properties and doesn't strip away natural oils. Helps replace moisture to the skin as it cleanses. Glycerin, Aqua (Water), Sodium Lauroyl Sarcosinate, Disodium Cocoamphodiacetate, Lauryl Betaine, Sodium Cocoyl Isethionate, Acrylates / C10-30 Alkyl Acrylate Crosspolymer, Styrene/Acrylates Copolymer, Aminomethyl Propanol. CAUTION: Avoid eyes. If cleanser enters eyes, rinse with clean water immediately. If irritation occurs discontinue use. Store below 30°C.